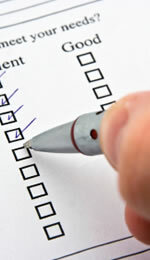 Surveying all factors to offer you optimum solutions. A Professional thorough diagnostic repair & maintenance service. Offering you experienced quality assured electrical services. 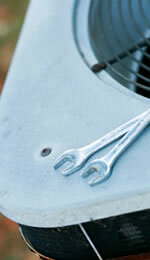 At Aircare we specialise in the installation and maintenance of all aspects of air conditioning. There are many systems available when selecting equipment. Our services include expert surveys from design to final installation and customer handover. We can guarantee to offer you the right solution to fit your requirements and budget. Domestic, commercial & industrial. 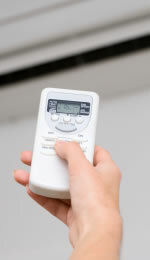 Domestic air conditioning offers massive savings on running costs. Whatever your needs we are happy to arrange a visit to discuss your requirements and find a system suited to you and your budget. 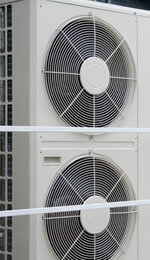 We specialise in all aspects of commercial air conditioning installation. This includes initial survey, design and installation. All of our systems include an on going service and maintenance routine. Industrial air conditioning can require a unique design. We can fulfil these needs with bespoke design and installation services. The first stage of any installation is a site survey in order to obtain relevant details of the location and also get a general feel as to what the customer's preferences are. Detailed measurement of the area to be heated / cooled. Structural information relating to walls, ceiling, building orientation (facing North/South/East/West), window size etc. Assessment of how many people will use the area. What heat creating equipment is used within the area, such as PCs, printers, photocopiers etc. Service height above suspended ceiling/s. Once all the above information has been collected, a heat calculation can be made, thus offering a duty (usually KW) or size required. Depending upon the size of the room, the duty can be shared or delivered from one single or multiple unit/s. A detailed quotation can now be given for the customer's particular requirements. The above mentioned is not exhaustive, but is a good general guide. Our Installation department take over the project and prepare to attend site to carry out the installation with minimum disruption to you and your business. All of our engineers are fully qualified and trained with years of experience. In cases where working during normal hours is impractical, out of hours working can be arranged. Our engineers have experience with various types of buildings and applications, from small retail outlets, such as bank branches or shops, to large office blocks and factories. We will always ensure the work is carried out with safety in mind for you, your staff and our personnel. Upon completion we will leave your premises clean and tidy. Upon planned maintenance visits our engineers will carry out a full clean and full inspection of all your equipment. A full report of any issues is then made for your attention. Any required repair work is quoted for approval prior to being carried out.